Early season jumps form from Proform. Who was hot in 2016? Afternoon one and all. Great to see how many of you have been engaging about the potential of using the Proform software to enhanced your betting experiences. Had several emails and messages to look at some angles for various friends on Twitter and we have highlighted one or two interesting angles. I have barely touched the jumps scene yet and this is something that I am concentrating on for most of this week. The speed figures and power ratings when used correctly are very powerful indeed on the flat and the all-weather. Now I need to put them to proper use over the sticks too. One thing I know is always of interest early on is the constant reference to trainers that “do well in October” or “have them well forward early”. So what I did for a little bit of fun today is just run a very quick query in to Proform to see how the profitable trainers performed early season in 2016. So I looked at all trainers form last year for October and November over hurdles, chases and bumpers. I added in a couple of parameters in to the mix to only give us trainers over 20% strike rate, that showed an overall profit, plus one or two other requirements. This is what we ended up with….. So an interesting collection of trainers that had their string well forward at the beginning of last season. One or two obvious names in there. From these names I just had a quick gander at the winners from the opening jumps meeting at Chepstow. Rebecca Curtis was 3/10, whilst Paul Nicholls, Fergal O’Brien and Colin Tizzard also had quick starts. Between the four of them at Chepstow last year they had a level stakes profit of 43.01 pts on the opening fixture. Just a small piece today for some early season jumps interest. If you are considering joining Proform, I believe they are running a 50% sign up offer at the moment. All the details can be found on their Twitter account. We hear about various forms of ratings on a daily basis in the pundit world. Racing Post Ratings, Timeform Ratings, Proform Power Ratings etc, but can we use any of these to make us some cash. Having had a few months away from the scene (working not jollying), I took some serious time to have a good look at the Proform Ratings to see if anything what I could uncover. For those of you that are unfamiliar with Proform, it is just about the most in-depth piece of software available for racing fans. A full form book database that also provides its most valuable feature, the system builder. Having been an avid user of Proform for some years, even I have barely scratched the surface with this weapon of mass destruction. For Proform subscribers, you will have heard Proform’s top man Simon Walton talking a bit about the DTR System. This is a system that highlights the “double top rated” on both power rating and speed figures. For 90% of people that will have an interest in this piece, this system is hard to run as it relies largely on having plenty of access to BOG bookmaker accounts. Something that has not been seen in these parts for a while. From the emails that Simon passed on, the figures surrounding the Proform Speed Figures really pricked my interest as they seemed to out perform the others by some way, so I spent many hours having a look at if I could eek out some profitability using them. So as a base to my interest, I ran a system query on all the horses that were the TOP or JOINT TOP speed figure for every race in the UK & Ireland since 1st Jan 2010. Here is the result of that query….. So the initial look shows that from 105,524 selections, we would have had 22,076 winners but would have done our conkers to the tune of -£825.07 to a £1 stake to BFSP. So clearly from the bottom line, backing all the TOP rated on speed figures would mean the day job continues. So how can I break this down to see if there is anything we are missing. Next, I asked Proform to break these numbers down by RACE TYPE to see if any codes are better than others…. So from the breakdown of my second report, all of a sudden, maybe there is something to work with. Turf races since Jan 1st 2010 show a profit of £428.73 to £1 stakes to BFSP. At a nice tidy strike rate of 20.74%. All of the other codes show a significant loss. Now whilst this is certainly a step in the right direction, on average this equates to 61.24 points profit per year. So now it is time for me to concentrate solely on the turf figures and see if we can drill this down to improve the overall strike rate and more importantly. The P&L. So what can we look at next? The variables are enormous. Ground, trip, race type, course…we could go on. So first stop here is to break all of the turf figures down by the classification of the races to see if we can grind out another angle. Here is what was returned…. So from the above image you can now start to draw more of a picture of where the main part of the profits are coming from. Whilst a few of these do tick over a small profit over the time, you can clearly see from this that HANDICAPS are a very profitable angle to work from. So let’s chuck everything else out and have a look at handicaps only and the bottom line that they produce. To give you and idea, I played around with the race classifications, race distance which was a big factor and ground conditions too. Once I nailed all this down to be the most efficient I could find it this is what I managed to get the final “system” to produce. So I’ve managed to almost double the profit to BFSP by playing around with the huge number of variables available on the Proform System Builder. Winners from odds on right the way through to 40/1. What do these figures mean and how do with improve them even more? Take Hugh Taylor as an example. A fantastic race reader and tipster for Attheraces. I dread to think how many hours a week, Hugh spends watching racing, making notes and assembling his list of horses for potential future bets. As I’ve already mentioned Hugh averages about 206 points profit per year just on his ATR selections. My botched up system above is averaging 116.25 points profit over the last seven years. One thing that will hopefully be a new addition to the software is that evening price figure that Simon has been working with for about 18 months now. By backing all of the system qualifiers the night before ( I normally look at about 7pm) your profit on the above figures at an estimate would at least double. The amount of Proform Top Speed Figure horses that shorten in the market over night are phenomenal. Whilst I have only been collecting these figures on the evening prices for 5 weeks or so, Simon’s figures from the last 18 months more than back this up. My rough estimation from the evening prices over the same period would suggest that my drilled down system would be approximately 2000 points in profit (285 per year). I will of course each month, give an update on here so anyone that is interested can see how it develops. So far to date in September we are +47.79 points before Friday’s racing. The great thing about Proform is that once your system parameters are saved, the software automatically alerts you of all the qualifiers on the home screen, making placing your bets very easy. They are just as easily copied into spreadsheets too. The biggest draw down to this system is that you obviously need access plenty of BOG bookmaker accounts too take advantage of the evening before prices. Given the plethora of accounts available, you should have absolutely no problem following this type of system for some time before you run out of options… and as a last resort, it is still very profitable to Betfair SP. Hope this has given you some food for thought on finding some winners based purely on statistics. One to note today is COLD FUSION (4.15 Southwell). Caught the eye a couple of times and it seems this is more his trip. Fibresand suits and he could run well at a very big price. 40/1 in places. One or two for today…. I know, I know… it’s been like forever. I’m over it, hopefully you are too. A rare summers day off today and a couple of horses have popped up on the tracker that I feel I should probably pass on for you today from my recent video analysis. MISTER BOB – 7.45 Kempton. 8/1 with Betway/Betfair. He was a rather large eye catcher when we last saw him at Wolves on 31st May. A race where they went no pace at all which didn’t help this hold up beast. He’s handicapped to win and with that having blown away any cobwebs he looks sure to run a big race tonight if he is wanted. They should go a good gallop here which will help with Starcrossed likely to go forward and Music Man also a prominent racer helping to push things along, we should get a good gallop to run at. Ted is on board which is not great so we may be watching through our fingers again close home. If he’s ready and the gaps come he’s well worth backing. Has been on the radar to pick up a small handicap for a while. Drops into a very weak seller today and you’d be desperately disappointed if he didn’t win. Mischief Maisy – 3.30 Lingfield – 20/1 General, massive on BF. She’s just one to follow, maybe for 3/4 runs. She has more ability than her mark will suggest and a step to a mile and a half looks a good thing. She was given a very interesting ride at Brighton last time. Worry today is they may have too much pace for her around here but she is one for your trackers and small stakes. Especially in place markets etc. She’s likely to go in at a massive price at some point. 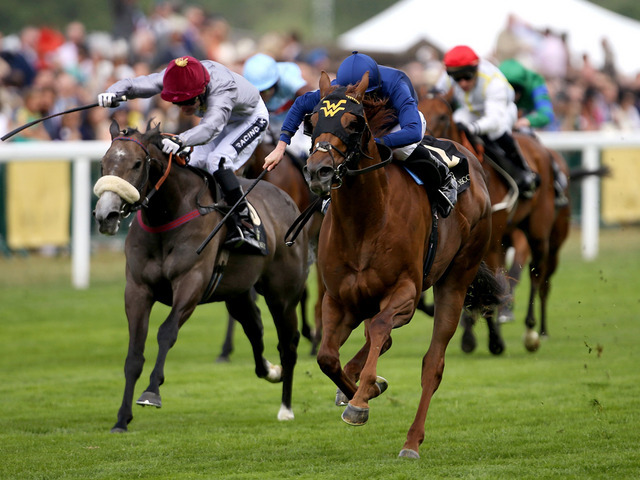 Refulgence – 3.40 Yarmouth – Any price you like? She’s been in my tracker for ages, for one reason only. It’s looked to me for a long time like she wants middle distances but Marco Botti has kept her to a mile up until now. She nearly sneaked in last time (head in hands moment) at 25/1 but just failed to get there over the extended 8.5f at Wolves. First attempt at ten furlongs today, so she’s on the list, unless she gets beat!